Time is precious. It is also finite. As someone who moved out at quite a young age from a small town to the big city for school, and then picked up and moved to a different province a few years later when a work opportunity arose (hello MuchMusic VJ Search! ), I’ll be honest in saying I wish I carved out more time for family. Even though Ottawa and Toronto are not that far, finding a few days with zero commitments is like trying to pick which Jenga piece to pull out near the end; you know it’s possible, you want to make it happen, but you’re also aware that it could be a bit tough. But like in Jenga, if you pick the right piece, you feel a huge sense of YES when you do. Daughter-fail: last year I missed mother’s day. There was a last minute work obligation and I left my mom high and dry. My brother and I tag teamed the day and from afar I contributed... but it goes without saying that it simply wasn’t the same. This year had to be different, she deserved better and deserved some face time. Plus, I knew she was hoping for a little something special when she sent me a picture of her standing in front of a new luggage set in the new year (5 months before Mother’s Day might I add) and texted me saying she was ready for whatever adventure was next together. That next adventure, would be one for the books. 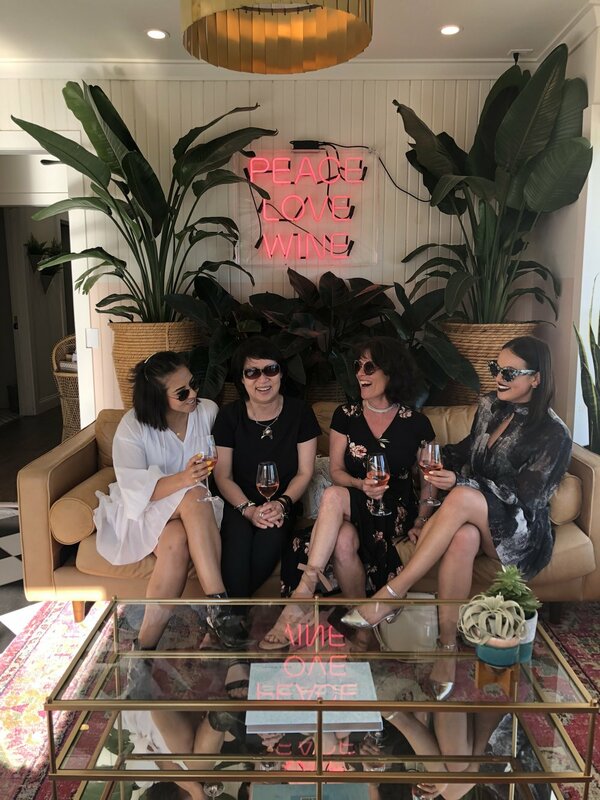 My friend Meghan and I decided to try something a little unconventional and do Mother’s Day together, inviting our mom’s for a weekend in Prince Edward County. I think it’s important to note that they had never met, their one and only interaction prior was a quick FaceTime call over the holidays when Meghan called to say hi. But for some reason we just knew it would work out and that they would get along. What we didn’t realize however, was that they would connect and click in a way that simply doesn’t happen very often in adults. 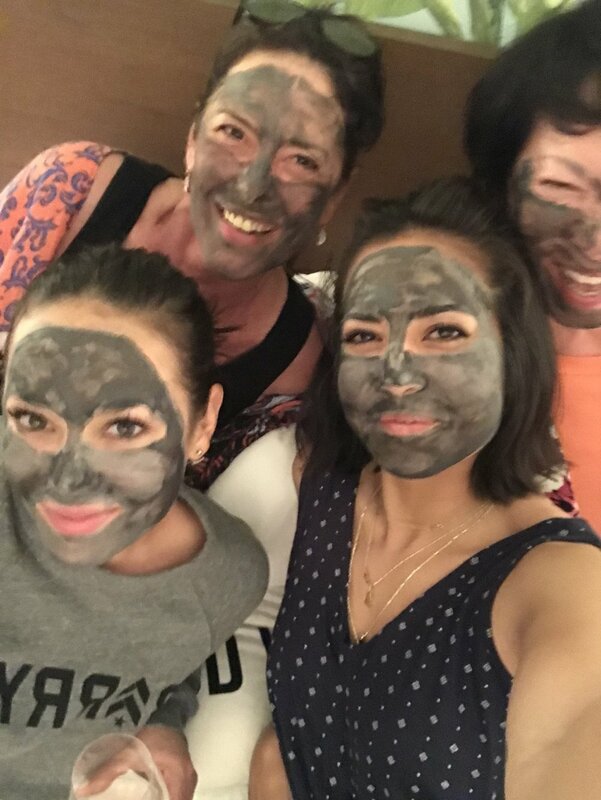 It was fascinating watching our mother’s, both fiercely independent women, not as mothers, but as two individuals letting loose, dressing up, giggling hysterically, telling stories, trying new things (ie attempting to master the selfie), indulging us in late night charcoal face masks while in jammies, and so many other little moments, right before our eyes. It was beautiful, seeing my mother in this new light. No matter how busy life gets, or how much of a workaholic you may be, make the time for the people in your life. Don’t let time slip through your fingers, grab that Jenga piece and watch the tower stand strong. Oh, and if it falls, play again.